the RG M Series of single-phase, solid-state relays and contactors with monitoring features. 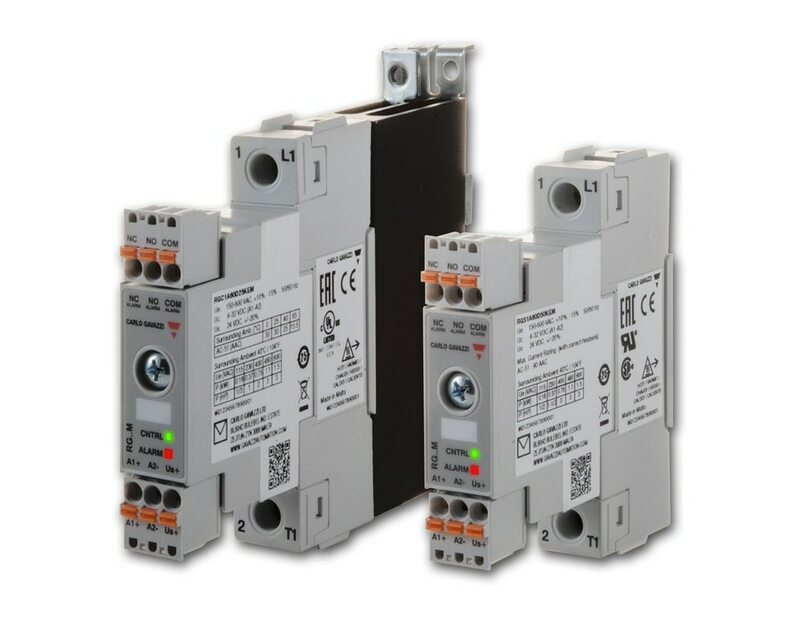 The relays consist of solid state switches with monitoring features for quick and timely failure detection, and switching. 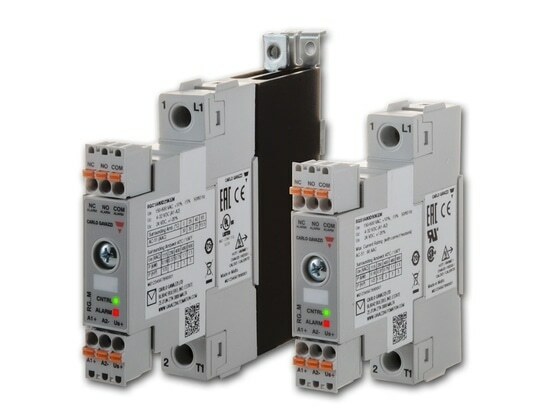 The relays will detect mains loss, load loss, SSR open and short circuit, SSR internal fault, and supply out of range. It is also equipped with an alarm LED for visual fault indications, and an alarm transistor output for remote signaling. The relays are available with or without a heatsink. Ratings go up to 660 Vac, and the relay is controlled with a 4 to 32-Vdc input signal and powered with 24 Vdc.